How to install PUBG lite for android in just 267 mb? Play PUBG in Low end android ! HomeHow toHow to install PUBG lite for android in just 267 mb? Play PUBG in Low end android ! Hello, friends welcome on my blog As you know my name is Bhanu Saini. Today I am back with a new post In which I will tell you how to install PUBG lite app only in just 277 MB. after reading this post carefully you will be able to know how to install PUBG Lite app in low-end Android ,so please read this post carefully and if you like this post then please share this with your friends and follow me for further interesting posts. What is PUBG ?? And How to install PUBG? This application is famous and played over the world. This is Epic combat Game in which you have to fight for your life. It is an open world. shooting game which is available for both PC and Android. As I told before that PUBG is a high-end Android game, having high graphics and high textures, so this game requires minimum 2GB RAM but in 2GB RAM android it may lag. 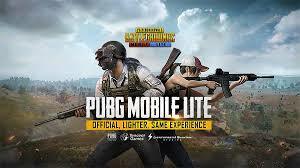 So now I am going to tell you about PUBG Lite for Android, and how to install PUBG lite in your Android only in just 267 MB? The installation is so tough so please read this post carefully!!! How to install PUBG lite for android in just 267 MB? After that, you have to open this website and click on the latest version. After that, a popup window will open and there you will see the install button after that you have to click on install and then the downloading will start. The game which you will download will be Xapk file so to install it you have to must download uptodown Android apkNow install uptodown APK carefully and open it. After opening go to the download section, there you will see PUBG lite file then click on install. After extracting the installation will be completed and you can now easily play PUBG lite on your Android. If you have any queries then use the comment box.